The FoxLok is deisigned and made in America. Each capsule is made of tough and durable Polyurethane and is individually water tested prior to shipping. 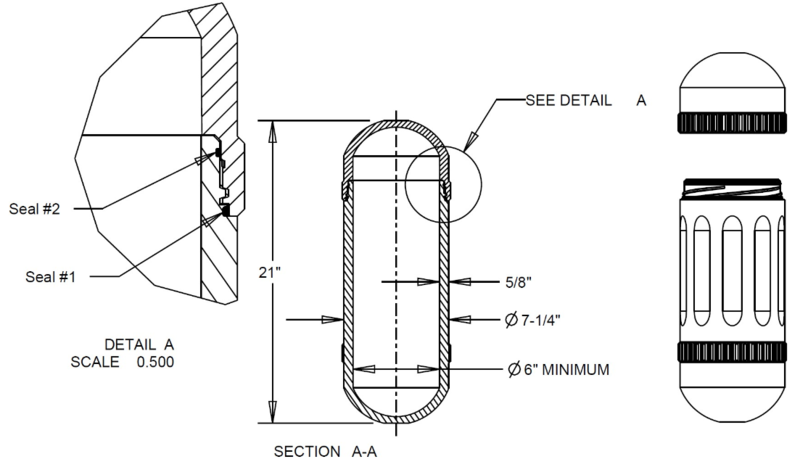 The drawing below shows the dimensions of the safe. Note the thick walls (5/8") and the double O ring placement. The full inside of the capsule is usable space from the bottom to the top of the cap.